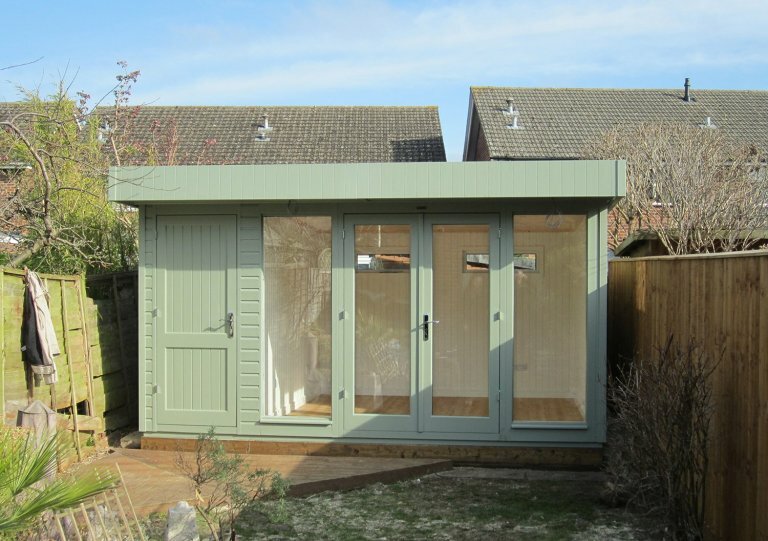 This attractive Salthouse Studio was recently installed for a customer based in Great Coxwell, Oxfordshire. Selected from our range of FSC® certified timber buildings, the Salthouse Studio is the ideal work from home office or recreational space. Designed and hand-built to order at our Norfolk factory, the studio was then delivered and installed by our in-house installations team. 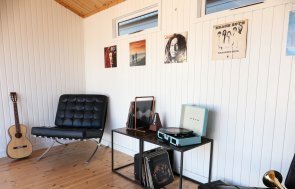 Measuring 3.0 x 4.2m, the studio has a pent roof covered with heavy-duty, heat-bonded felt and an exterior clad with smooth shiplap. 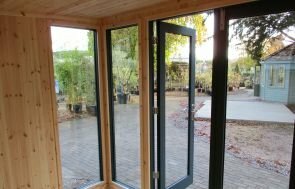 All fully-glazed, full length windows are double glazed for interior warmth and there is a storage partition with an external access door, providing our customer with a convenient hybrid of outdoor storage space and an internal recreational area. For ventilation, the double access doors open and there are two fanlight windows along the rear wall of the building. Internally, the customer has opted for full insulation and painted ply lining in the airy shade of Ivory, with an electrical pack added to supply power, light and heat to the building for our customer’s enjoyment and convenience. The exterior is painted in the attractive shade of Lizard, which was selected by the customer from our vast range of exterior paints. If you would like to see our range of Garden Studios for yourself, you can do so at one of our UK show centres, where there will be up to 25 different buildings on display and a team of friendly advisors on hand to offer any advice you might need. In order to plan your visit, locate your nearest here, or instead get in touch with us on 01760 444229.